The Cardinals are planning to sign quarterback Brett Hundley, per Adam Schefter of ESPN.com (via Twitter). Ian Rapoport of NFL.com tweets that it will be a one-year, $2MM pact, with a maximum value of $3MM. Hundley will presumably operate as the backup to second-year signal-caller Josh Rosen, or, depending on how this year’s draft goes, he could be backing up Heisman Trophy winner Kyler Murray. As Bob Condotta of the Seattle Times tweets, the Seahawks could turn to Paxton Lynch to back up Russell Wilson after Hundley served as Wilson’s clipboard holder in 2018. That would not be much comfort to Seattle fans, as Lynch, who signed with the Seahawks in January, has busted in a big way since the Broncos made him a first-round pick in 2016. The Packers drafted Hundley in the fifth round of the 2015 draft. 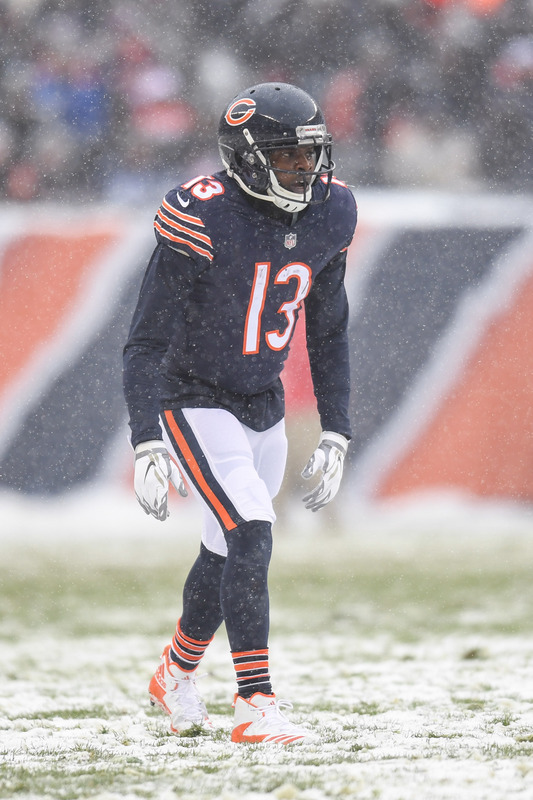 He didn’t see a lot of action at first, but he was called upon in 2017 when Aaron Rodgers was lost to injury. In nine starts, Hundley went 3-6 and threw for 1,836 yards with nine touchdowns against 12 interceptions. The Packers traded him to Seattle last August in exchange for a sixth-round pick. Hundley will likely never fulfill the potential he exhibited at UCLA, but he may able to churn out a career as a serviceable backup. He did not see any action last year, as Wilson continued his record of perfect attendance. The Seahawks have signed quarterback Paxton Lynch, according to the NFL’s transaction wire. The deal was first reported by Ian Furness of KJR Radio (on Twitter). Lynch may be a backup option for the Seahawks in 2019 behind starter Russell Wilson. Before this pact, Wilson was the only QB under contract for next season. Brett Hundley, who finished out the year as Wilson’s backup, is set for unrestricted free agency. Wilson, 31 in November, has had a perfect attendance record since entering the league in 2012. Still, you can’t bank on perfect health in football. For all his warts, Lynch may prove to be a quality QB2 for Seattle. 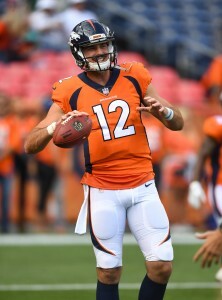 Lynch tried out for roughly 25% of the league’s teams since being cut by the Broncos in 2018, but was unable to land a contract. 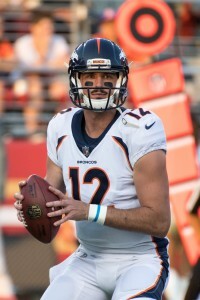 The former 26th overall selection in the 2016 draft was beaten out twice for the Broncos’ starting quarterback job by former seventh-round pick Trevor Siemian. In two years with Denver, Lynch managed to start only four games, completing 61.7% of his passes for 792 yards, four touchdowns, and four interceptions. Among the 52 quarterbacks who attempted at least 125 passes during those two seasons, Lynch ranked 41st in passer rating and 46h in adjusted net yards per attempt. Seattle was the latest stop on Paxton Lynch‘s post-Broncos workout tour, with the team bringing him and two others in for an audition according to Field Yates of ESPN (Twitter link). Yates reports that the Seahawks brought in the former first round quarterback as well as former Jets wide receiver Chad Hansen and former Browns defensive lineman Jamie Meder. It’s been a busy month of flying for Lynch after he was let go by the Broncos at final cuts. He worked out for the Jaguars last week, and the Redskins the week before that. He’s also worked out for the Eagles, the Lions , and the Bills during his time on the open market. The 26th overall pick of the 2016 draft might not be able to find a home on an active roster this season, and may need to wait til the end of the season to sign a reserve/futures contract for the offseason. 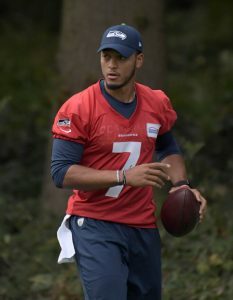 Most teams’ quarterback depth charts are set, and the clubs that will be looking for signal callers due to injuries will likely be looking to add veterans and not developmental projects at this point in the season. Hansen was a fourth round pick of the Jets back in 2017, but didn’t survive final cuts this year. He was claimed by the Patriots, but lasted only a week on New England’s roster. Meder spent the past three seasons with the Browns, and made the team’s initial 53 this year, but was cut soon after to make room for incoming Cleveland waiver claims. The Seahawks have Brett Hundley backing up Russell Wilson, and Alex McGough on the practice squad, so it would be surprising if they brought in Lynch this season.